Loudest - dual siren song alarm can be nearly 130db, can be heard very far away. 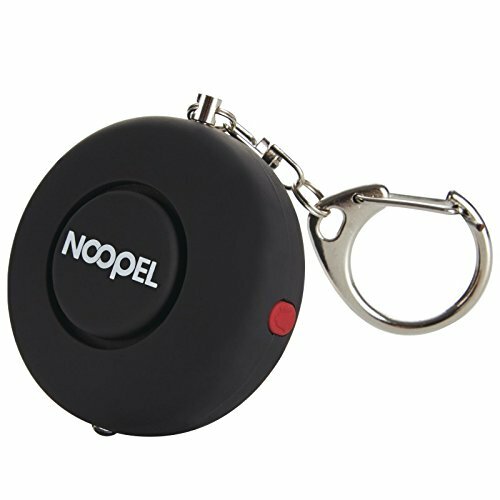 Most user-friendly - sleek, modern and compact design makes personal alarms keychain easy to carry. Convenient - Personal alarm's keychain design is perfect for use with house keys or car keys. purse, etc. for convenient, instant access plus greater value with batteries included. It could be used to illuminate a dark pathway, find a keyhole in a car door. 1.The alarm sound is very loud, please do not put by your ears. 2.When the safety alarm sound goes low, please remove screws from back cover and replace new batteries.